Today many parents are not only searching for schools that will set up their children for strong academic success, but also for schools that will develop their child both socially and emotionally. Strengthening and building a child’s character while in school can be every bit as important as learning reading or math. Martin Luther King Jr. once said “Intelligence is not enough. 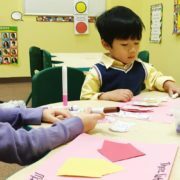 Intelligence plus character, that is the goal of true education.” Many preschool and elementary schools focus solely on the academic portion of education. Through character education, children can learn valuable life lessons and develop a more grounded moral compass. Programs that also teach character education are likely to far exceed parent expectations by encouraging positive character traits and ethical behaviors. To wrap up our series on Building Cranium Character, it’s important to discuss the benefits of teaching your child how to become a good citizen. Defined by Merriam Webster as “the quality of a person’s response to membership in a community,” citizenship is a character trait that will have not only a personal impact on your child but a widespread effect on others, as well. When we do good things for our society and for others, it shows that we genuinely care about our community. When children learn these ideals from a young age, they also learn quickly that the feeling of doing good things for others is very rewarding and often contagious. How you can help your child become a good citizen? Discuss citizenship and find good examples. You’ll want to first define exactly what a good citizen is, and talk about the responsibilities that come along with being a citizen. 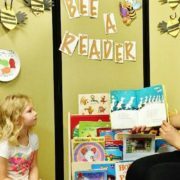 You can read books with your child that depict examples of citizenship in action. These real-world scenarios will hopefully encourage your child to become a good citizen now and in the future. Take your child with you to the polls. Next time election season rolls around, use it as a teaching opportunity for your child. Bring her with you when you go to cast your ballot and teach her the importance of voting in a democracy. Be sure to explain how the candidates and the positions they aspire to hold can have a big impact on your community. Do community service together. The possibilities for community service are endless, and there are countless ways for you to get your child involved. For example, you can encourage your child to get together the clothes that no longer fit them, and the toys they no longer use, and donate them to organizations like Goodwill. You can take your child with you next time you volunteer to clean up a park or a beach and use it as a way to explain pollution and how it affects both people and animals. Take him grocery shopping with you and have him help you choose the foods that you will donate to a local food pantry. Use this as an opportunity to explain the importance of helping those in the community that are not as fortunate as your family. Visit your local nursing home. 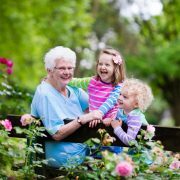 Explain to your child that the elderly in the nursing home often get bored and lonely and that is the responsibility of a good citizen to put a smile on the faces of those that need a little extra cheering up. This is a great way to teach your child how to care for others! You can encourage your child to write cards to the nursing home residents, or help you bake cookies for them. When you arrive at the nursing home, encourage your child to make friends with the residents by handing out the cards and the cookies. At Cranium Academy, we incorporate character education into our advanced, well-rounded curriculum. Our exclusive character education program integrates positive discipline techniques with leadership exercises throughout each school day. 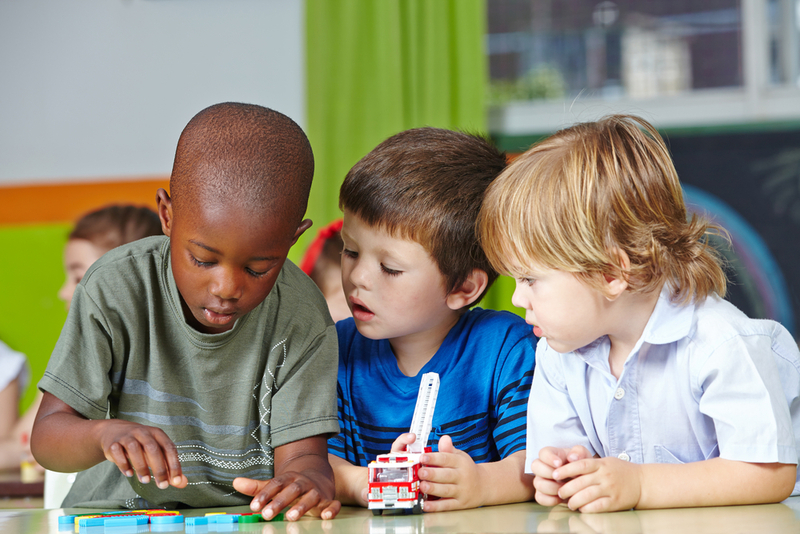 We focus on building character traits like citizenship through fun real-world scenarios in which children are encouraged to use creative strategies that align with their emerging cognitive abilities. Finding a school such as Cranium Academy that values character education helps ensure that your child grows stronger academically, physically, socially and emotionally. Most parents worry about finding a school with the best academic education for their children. 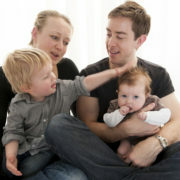 But sometimes we forget that cognitive skills are not the only skills that need to be nurtured beginning at a young age. To help children be successful in school and beyond, it’s equally as important to help them develop social and emotional skills. This is where character education comes in. Character education helps teach children essential life skills and values that they will carry with them throughout their life. Your children are constantly observing you and modeling their behavior after yours. To create a positive influence on your children, try being fair to everyone – your spouse, strangers, waiters, cashiers, etc. As your children see you being fair to everyone, they will learn that fairness is not reserved for only one certain type of person. Your children will benefit from the example you set for them as they begin imitating your fair behavior and speech. Children’s books and movies are great tools to use as ways of helping children understand the differences between fair and unfair behaviors. The next time you are watching a movie or reading a book with your child, pause and take a minute to explain the situation unfolding before them. You can ask your child what they think the characters did that was fair, or what they did that was unfair. Movies and books are great teaching tools for fairness because they can make it easier to bring up and discuss important topics with children. Recognize your children if and when they exhibit fair behavior in any scenario. If you see them offer another child a turn with their toy or game, that is a reason for praise. If they take responsibility for a mistake they made, let them know they made a fair choice. Make sure that your children know that this kind of behavior makes you proud and that you admire them for it. It’s important to create a link between fairness and positivity so that your children don’t equate fairness with loss or punishment. You can create this link by offering encouragement and praise if/when your children exhibit fairness. Help your children understand that when they are fair in their dealings with others, everyone benefits – including society. At Cranium Academy, we integrate an exclusive character education program into our curriculum. This character education program focuses on building many character traits, one of which is fairness. Using real-world scenarios, character traits are strengthened through creative activities that align with a child’s developing cognitive skills. Our dedicated staff at Cranium Academy understands the importance of character education, striving to help each child build cognitive, social and emotional life skills that they will carry with them as successful students and citizens. If you have a child, or know one, you know that children naturally love art. You’ve probably noticed their eyes light up when given paint, crayons, or other art supplies. You may have also noticed that schools seem less able to allow time for creativity or art. Simple creative activities are essential building blocks of child development. When learning to use a paintbrush, children work to improve their fine motor skills. By counting supplies or colors, they discover the basics of math. Experimenting with various materials involves science. Feeling good about the art they are creating builds self-confidence. And when a child feels free to experiment and make mistakes, they are free to invent new ways of thinking which extends well beyond the classroom. It’s important to find a school which recognizes that making art and enjoying the art of other people and cultures is essential to the development of the whole child. Cranium Academy values the importance of art as a language, an important form of self-expression, and a critical tool to increase engagement and retention when integrated within other programs such as math, reading, science, and social studies. Learning to express feelings in a safe way – Children can learn to express and handle negative as well as positive feelings through creating art. Strengthening fine motor skills – By holding crayons and learning to control scissors and other art tools, children strengthen fine motor skills essential for writing and other activities. Developing decision-making and problem-solving skills – How could I make this shape? What color should I use? Making art gives children various opportunities to make their own choices and decisions. Valuing diversity and culture – Seeing that others have different points of view and ways of expressing them than they do is invaluable. Seeing other children’s artwork, as well as art from other cultures, gives children real examples of how different people express the same thing in different ways. Encouraging innovation – When children are encouraged to create freely and take risks in creating art, they develop a sense of innovation and critical thinking that will be important in their adult lives. Boosting self-esteem and experiencing success – Since there is no right or wrong in creating art, all children can experience a measure of success and pride in their artwork. Practicing social skills – By sharing art supplies, cooperating to create a group project or clean up after one, creating art helps children gain valuable social skills. Preschool through elementary school curriculum meets all national art and state specific art standards. Exploration of art history, including appreciation of art periods, styles, famous pieces and museums around the world. All students are immersed in art projects from preschool through elementary school. Preschool students visit virtual museums through our interactive technology and create their own museums within their classrooms. Elementary students also get to experience field trips to museums and live performances within their community. An animated interactive art program that teaches preschool and elementary school students the “language” of art while developing critical thinking. On January 28th and 29th, Cranium Academy of East Orlando (near Lake Nona) will be holding its inaugural Art Exhibit & Auction. Each classroom will be working together to create a unique art project for the exhibit, which parents will then be able to bid on. All funds raised will be donated to a patient at Nemours Children’s Hospital through the Be Brave Foundation. The mission of the Be Brave Foundation is to provide financial assistance to families in Central Florida with a child battling cancer. By removing some of the financial burden associated with treating pediatric cancer, we can assist the family in focusing on their child’s care and condition. For more information on this amazing organization, visit www.bebravefoundation.org. 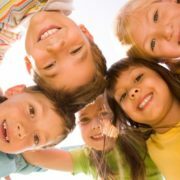 Cranium Academy offers a completely unique preschool through fifth grade private school experience, plus unforgettable summer camps, birthday parties, after school programs, and more! Now serving more of the Orlando area with our Winter Garden – Windermere preschool and elementary school location and our brand new East Orlando location near Lake Nona. The holidays often stir up feelings of joy and excitement. For many families, the holiday hustle can also lead to feelings of overwhelm. Regardless of what holidays you celebrate, it is up to us to ensure that the holidays mean more to our children than stress and decorations. The holidays offer the perfect opportunity to reinforce the importance of gratitude with your children. Gratitude is one of the most challenging concepts to teach little ones, but also one of the most important. Not only are thankful children more likely to be polite and pleasant, but they tend to be more sensitive to the feelings and efforts of others. On the reverse side, kids who are not taught to be grateful often develop a false sense of entitlement – which can lead to bigger problems later on. Most experts agree that gratitude must be learned. 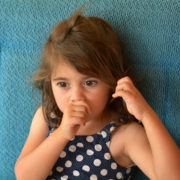 Learning to say ‘please’ and ‘thank you’ is a great start for children as young as toddlers and preschoolers. But developing an attitude of gratitude goes beyond good manners. Gratefulness has to be practiced daily to really take hold. How often as adults do we find ourselves longing for more instead of appreciating what we have? To keep gratitude going is a lifelong process. Model it – Children learn by example. Be sure to say ‘please’ and ‘thank you’ when you talk to them, and insist that they use these words also. Good manners and gratitude go hand in hand. At Cranium Academy, students benefit from CRANIUM CHARACTER curriculum designed to nurture the development of values such as gratitude and respect. From preschool through elementary school, children learn how to show gratitude and good manners, and our teachers model and praise these behaviors within the classroom. Talk about it – Weave appreciation for even the simplest things into your daily conversations. In saying things like, “We are so lucky to have this healthy lunch,” or “I am so grateful to have some extra time to spend with you,” you can help make gratitude a habit for you and your child. To ramp up the gratitude in your home, try to make talking about the good things that happened today part of the dinnertime conversation and/or your nightly routine. Let them do it – While getting children to participate in household chores may seem like a chore, it’s the best way to teach them that time and effort are valuable and should be appreciated. In participating, children also build a sense of work ethic and responsibility. Appreciate it – When they receive something, no matter how big or small, encourage them to focus on the thought behind the gift or kind act. “That was so nice of your friend to draw that for you. You must be a very special friend to him.” Attaching meaning to acts of giving will create a deeper appreciation for them. Say ‘no’ to it – Kids are sure to ask for toys, games, and candy – especially around the holidays. It’s nearly impossible to feel grateful when you are given everything you want. 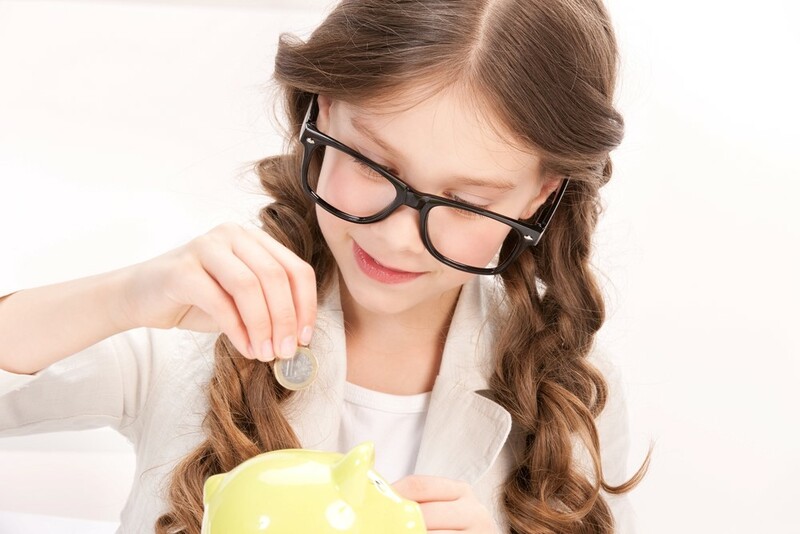 Don’t be afraid to let your child know that you don’t have an infinite supply of money. Teach them from an early age that people work to earn money to support themselves and their families. When your child asks for things, it’s ok to say, “Would you like to put that on your wish list?” Or, “Why don’t you save up your allowance or birthday money to buy it?” Saying ‘no’ does not make you a bad parent – it teaches children that things are earned, and it helps them better appreciate what they have. Share it – Think of ways to share your gratitude with others. Have your child write a special thank you note to someone who has been kind to them. Go through old toys or clothes to donate them and talk about how grateful someone else will be to receive them. Wait for it – Don’t expect gratitude to flourish overnight. Like most values and good habits we hope to instill in our children, being thankful requires ongoing reinforcement and a lot of effort. But you’ll surely be grateful when your efforts pay off with an attitude of gratitude!